Starkweather and Sons Roofing and Siding first started in 1976. 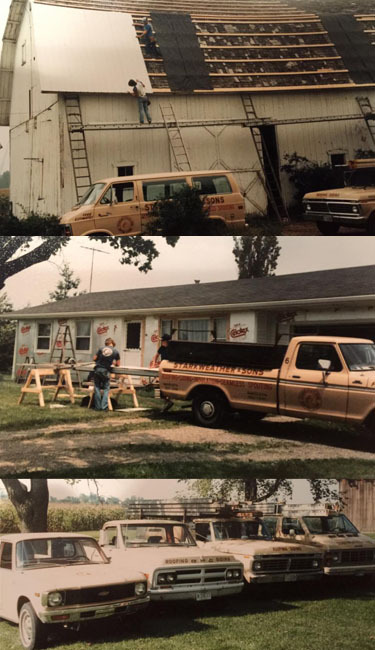 Starting out with an old Ford truck and a wooden ladder, George and Bev Starkweather started this business with the qualities of honesty, hard work and dedication with the idea of giving the homeowner a top quality job by using only the best materials available. Today, we are still a Christian family owned and operated business in Wauseon Ohio that bases our professionalism on the same values that started this roofing and siding business in 1976. However we are now equipped with all the up to date equipment to handle any job, including our new Equiptor we are so proud to offer today! 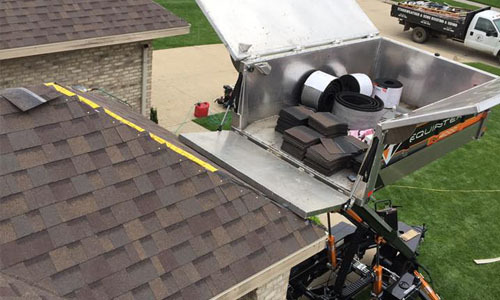 (For those who are not familiar, our Equiptor is an innovative trailer to reach difficult spots while protecting shrubs, flowerbeds, and other features on the job site! Of course, the materials of today are of much better quality and offer homeowners a much larger selection of styles and colors to choose from with maintenance-free options, too! And, today, all our crews are now manufactured certified on professional installation techniques to always guarantee quality and the manufacturers warranty and beyond. We are all fully insured so you are guaranteed that your property and home are in good hands. All of our crews consist of hard working men who love what they do. You will never hear vulgar language on our job sites. We believe that honesty, hard work and a trusting relationship with the homeowner will always be the key to our success. We have been going strong for over 40 years now; so we must be doing something right!